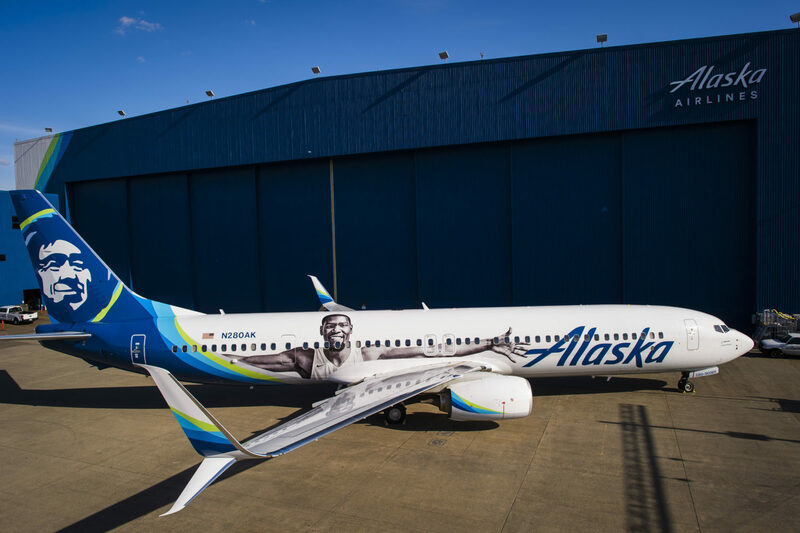 Basketball fans will want to keep an eye out for Alaska Airlines’ new specially decaled 737-900ER aircraft featuring the likeness of Kevin Durant of the Golden State Warriors. The design is made up of more than 34 giant decal pieces and covers approximately 560 square feet across the fuselage and, according to Alaska Airlines, it took six mechanics and electrical technicians 144 hours to complete this special installation. Why Durant? He teamed up with Alaska Airlines last September to support the airline’s youth and education programs in the Bay Area.